Owning A Well Shouldn’t Be A Mystery. Here’s What You Need To Know! A well’s water yield will change based on well screening equipment, alterations in subterranean rock formations, and water table variability. The required minimum yield in this area for a drilled well is 1 gallon per minute, or 1,440 gallons per day. That sounds more than enough to supply a small army, let alone a family of four. But is it? On average, one household member usually uses between 75 and 100 gallons of water a day in kitchen, bath, and laundry. This average will obviously increase if you wash your car, water plants, or fill the pool. To constitute yielding “enough” water, a well must be able to supply the maximum amount of water needed within the shortest time period of water use, also known as “peak load/usage time”. Storage in the well, generally calculated at 1.5 gallons per foot of standing water, plus yield over 2 hours, should equal the total daily usage by the family, and are the 2 factors used to determine adequate water supply. So for a family of 4 (requiring 400 gallons per day) should have well-based storage of 160 gallons if the well produces 2 gpm, or 240 gallons over 2 hours. If the well produces 1.5 gpm, using the same factors, the water storage in the well should be 220 gallons (400 gallons less 180 gallons supplied over 2 hours at 1. gpm. If the family is 6 people, the same well producing 2 gpm should have 360 gallons of storage (600 gallons less 240 produced during the 2 hour period). The water storage plus yield needs to be adequate to supply the gallons required. My well is relatively new – does that mean it’s more reliable? Actually, it may mean quite the opposite as the hydrogeology is fractured and disturbed by the physical drilling process. Over 50 years of research proves that new wells fail as often as wells that are 5, 10 , 20, or 30 years old. In addition, changes in underground aquifers occur naturally, and can eliminate the supply of water regardless of the age of the well. The variable of factors in well stability make the WelGard® warranty essential to all homeowners. A new well can cost $15,000 or more, depending on several factors, including the depth of the well, the nature of the aquifer into which the well is being drilled, and the type of pressure system being deployed. In fact, one of our founders incurred about $45,000 in expenses and struggled through months of no water before his system was again operational. (Read his story.) A well can easily cost as much as a new roof or HVAC system, and it’s clearly just as vital to your family’s well-being. A Shallow Well Jet Pump is an end suction centrifugal pump with an attachment called a “jet assembly” on the front of the pump to boost the pressure. The attachment converts centrifugal force into water pressure, both positive (pushing) pressures, as well as negative (vacuum/pull) pressures. A Deep Well Jet Pump is similar to the shallow well jet pump, except this pump’s jet assembly is located down in the well where it pushes the water to the surface, allowing application in deeper wells, and creating more energy in the pushing/positive pressure than in the vacuum/negative pressure. A Submersible Pump has the same parts as a centrifugal pump, but each piece is small enough in diameter to fit entirely within the well. This allows the motor, multiple impellers, and volutes (fin-like components) to increase the water pressure and push the water up the well shaft. Each impeller and volute is called a stage, and each stage adds to the pressure produced and increases the depth at which it can be used. Very deep wells can have pumps with more than 50 stages, and can draw water from an over 1,000-foot depth! A Constant Pressure Pump is the newest technology, where the pump motor adjusts its speed of the impellers depending on the demand for water, which is based on the number and extent of open faucets/outlets. Generally, a constant pressure pump eliminates the need for Pressure Tanks since the pressure of the water supply is sustained by the pump. Most replacement applications today are outfitted with submersible or constant pressure pumps, to allow for deeper wells currently being drilled. Many houses, however, have perfectly functioning jet pumps, with outstanding service and performance, and few reported problems. Many WelGard® customers come to (and stay with) us precisely because the average homeowner typically does not understand what’s in their well and how it works. Even the most experienced “fixer uppers” and “do-it-yourselfers” don’t know what to do when the shower won’t sprinkle and the sprinkler won’t shower. Each well is a unique eco-mechanical system, which includes both static, natural structures (borings, aquifers, etc.) and a plethora of man-made components. These interact and cooperate to provide water to your home. The extent and number of parts depends on the type of well, its depth, and the lateral distance from the well to the house. Some common man-made elements include: pump(s), valves, gauges, wiring, grounding, arrestors, connectors, adaptors, piping, casing, controllers, caps, screens, switches and the always popular “pitless adapter”. In general, there are about three dozen individual key pieces that work with each other to provide your home with water. When any one of these parts malfunctions or fails, the entire process is thrown out of sync, causing a sudden and inconvenient interruption of water, and more often than not, incurring a hefty price tag to fix it. The cost of repairs ranges from $1,300 to more than $5,000, depending on the severity of the failure/malfunction. Failures can also be caused by variables we can’t control: constant, unnoticeable shifts in the rock formations beneath the ground, which divert water away from your well below ground. These changes are impossible to detect with the naked eye, and they give no warning of impending failure. New Well – Since no one can guarantee where water will be located, they can’t say how many holes will need to be drilled, and the cost is expressed in “per foot” ranging from $10 – $15. Add to this costs for set-up, casing, grouting, drilling shoes, pumps, and hook-ups and it’s clear that the professional with the lowest drilling cost per foot may not be the cheapest overall. Last year, the average cost of a new well was between $10,000 and $15,000, with price-tags as high as $50,000. Not to mention the non-financial “costs” of delays due to contractor availability, ranging from several days up to 6 months before the problems are corrected. Well Pumps – This cost depends primarily on your specific system type and well depth. Installed prices average between $1,800 and $2,500. We have seen these prices increase over 50% since we began our services 15 years ago, since they are a function of supply and demand for the services required. Prices can also depend on the day/time of day you call, your location, and other variables. Misc. Repairs – These charges are generally based upon an initial response, plus the cost of supplies, and an hourly rate for the crew and related equipment. An average charge for a repair call is $150 – $200 on weekdays during normal business hours, with rates doubling for calls during evenings, weekends, and holidays. Supplies are charged as needed (often only available during normal business hours) and the hourly rate for a crew is between $125 and $150. Watch out for “mark ups” of materials: it’s not uncommon for parts’ prices and labor charges to be inflated, depending on the firm dispatched. Water Tests – Water can be tested for a wide variety of factors – volatile and stable, organic and inorganic, chemical and biological – and can cost hundreds of dollars. The Environmental Protection Agency (EPA), as well as state and local agencies recommend testing for pH, nitrates and bacteria. Tests performed by certified laboratories, using their own water samplers cost between $100 – $150. Raindrops are fallin’ in my well – does that do anything? Over 95% of rainfall doesn’t go directly into your well or even stay on your property; it runs off into creeks, streams, and rivers, some of which become part of the area’s surface water supplies, or “reservoirs”. It is these sources that create and generate water-bearing aquifers, which supply all wells, assuming the aquifers are hydro-geologically “connected” to your well. While your well is a 6” hole in the ground, it is not directly replenished by rainfall, as you might expect a cistern to function. The rainfall that seeps into the ground on your property moves through the soil at a rate of only 10 feet per year. Since aquifers (where your well gets its water supply) are hundreds of feet below ground, it might take more than a decade for that rain to reach an aquifer or water-bearing strata! But that’s a good thing – as it slowly moves through the soil, the water chemistry changes and the water is purified of most surface contaminants. So is rainfall still an important factor in your well? YES! Rainfall has a direct impact on the local ‘water table’, which may immediately impact your well if it is supplied by shallow aquifers. With less rain, or changes in aquifer structure, the well becomes non-water bearing – i.e. dry. Your well may not ‘fill up’ when it rains, but it does reap the indirect benefits. What do professionals think of WelGard®? Pure water has no taste. Water obtains tastes from any substances it comes into contact with during its travel through the hydrologic cycle. These substances can be rocks, minerals, organic debris, anthropogenic (human-made) materials or waste products, air-borne particles (from snow and rain), and other sources of water that join and mix in an aquifer zone. Various “tastes” come from various minerals, so to be safe, consult a trusted (preferably licensed) professional to diagnose and treat the water for maximum safety and protection. The Environmental Protection Agency (EPA) suggests testing your water annually, with several local jurisdictions suggesting twice a year testing. Do not hesitate to call WelGard® for recommendations on licensed professionals in your area. How do I interpret my water testing results? The Environmental Protection Agency (EPA) has water testing standards for 265 registered contaminants – a complex, laborious, and expensive battery of testing. But what should you test for, and how can you better understand the results? In your area, testing for bacteria, pH, nitrates, sand and turbidity provides a manageable cross-section of the water quality. Treatment companies will also frequently test for total dissolved solids [TDS] and “hardness”, important cosmetic indicators for your water which can be treated in conjunction with any health-related testing. Because of immediate health concerns, bacteria should never be tolerated – they can be mediated with chemicals administered by professionals at a mutually convenient time. Nitrates should be considered a worry if over regulatory levels, as they can have long-term impacts on health, particularly for the young, seniors, immunosuppressed individuals, and females of childbearing age. Aside from health issues, pH should be tested due to its impact on plumbing. Over time, pin hole perforations created by acidic water will require the replacement of interior pipes and fixtures at considerable expense. The best reading is 7.0 (neutral water), but results in the 6.5 to 7.5 range are considered satisfactory. Results lower than 6.5 indicate acidic water and results over 7.5 show basic or alkaline water. Both acidic and alkaline water should be treated for the long term protection of the well system and your health. Turbidity levels should be monitored due to the potential introduction of iron in the water, and results over 10 should be remediated. Other health-concerning test results in the area have included MTBE (a gasoline additive), radium, radon, and arsenic. The Environmental Protection Agency (a US government authority), as well as all county health and water departments recommend having your water tested annually, for a “check up”. Your well water is a key factor in your family’s health status. Make sure that you are properly advised on your results, as water testing is only an effective tool if you can understand, interpret, and act upon the results. 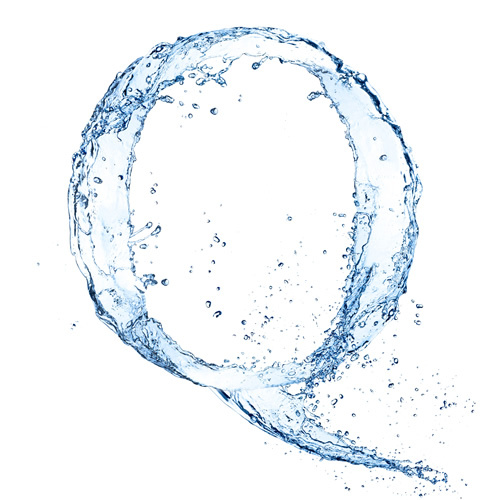 Let the objective water professionals of WelGard® answer your questions and decode your test results! What does too much rain mean for a well? Moderate snows in winter and an abundant rainfall in spring and summer means that the water tables will be higher than they were before the record drought, but does not assure your well will continue to be safe and reliable. First, the widely publicized drought was not just a 1-year phenomenon. The water tables in the Piedmont Region had been dropping (to lower levels) over the prior 5 years (1997-2002) and in fact have made significant gains over the past decade. Heavy rainfall though does not all become groundwater available for local wells. In addition to the precipitation that is retained in local reservoirs, much of the rain and snow runs off into other non-local bodies of water. Rainfall doesn’t immediately become ground water, since it seeps through the ground at a rate of only 10 feet per year. The benefit of heavy rainfall to your well may not be fully realized, if there is a benefit at all. High levels of precipitation cause well owners other problems, though, with higher frequency and levels of Coliform bacteria occurring during such periods. Local realtors are finding much more frequent and higher levels of bacteria, which require chlorination prior to sale. So while no one should be singing “Rain, rain go away…”, well owners still need to consider the impact of natural events on this very important and expensive system for their homes. How do I avoid water contamination? When will drilling be complete and the well ready for use? Different states have different regulations regarding the “Completion Report” when a well is first drilled. Some states require that a permit be issued by the local authorities and the well be drilled by a licensed, experienced professional. But frequently, the determination of whether to stop or continue drilling is left up to the judgment of the driller, as he/she establishes and quantifies the amount of the water supply, expressed as gallons per minute (gpm), and when an adequate supply of water is achieved. An adequate supply is based upon yield – the flow of water into the well, the number of fractures that are water-bearing (in certain types of wells) and the amount of calculated reserves of water, both in the well and in any available holding tanks. The initial completion report will give you some of these features, with specifics related to the depth of the well, its initial yield, and a report of the soil and rock composition throughout the drilling process. In many respects, these reports are much like reading your drug prescriptions – largely illegible and generally incomprehensible to average Joes. They are filed with the applicable regulatory agency where the well was drilled for interpretation and judgment of acceptability. To be acceptable for residential use, most states with quantitative measurement mandate that the yield of the well exceeds 1 gallon per minute for at least 3 consecutive hours. Various legislative initiatives have considered these guidelines, and proposed increases for future purposes. Most other Mid Atlantic states have no quantitative requirements for substantiating that the well will provide an adequate water supply. Even fewer municipalities require that wells be tested in connection with real estate transactions. Further, home inspection requirements include no standard for testing the water supply, other than to perform a physical test of the interior plumbing system’s integrity. How do you know if the water supply is adequate? The easiest way is to have the water supply (i.e. yield expressed as gallons per minute) tested for yourself and/or your clients by objective, licensed professionals prior to completion of the real estate transaction. While a family of 4 uses only 400 – 500 gallons of water per day, have a qualified test performed to safeguard your peace of mind or your reputation as a realtor and ensure that the water supply will be adequate for the new family in the home. No one can or should make any assurances that the supply of water will be indefinitely reliable. Arsenic is a toxic chemical element that is unevenly distributed in the Earth’s crust in soil, rocks, and minerals. It occurs naturally in the environment and is a byproduct of some agricultural and industrial activities. It can enter drinking water through the ground or as runoff into surface water sources. Although short-term exposures to high doses of arsenic (about 1,000 times higher than the drinking water standard) cause adverse effects in people, these exposures do not occur from public water supplies in the U.S. that comply with the arsenic MCL. Thickening and discoloration of the skin, stomach pain, nausea, vomiting, diarrhea, and liver effects. Cardiovascular, pulmonary, immunological, neurological (e.g., numbness and partial paralysis), reproductive, and endocrine (e.g., diabetes) problems. Cancer of the bladder, lungs, skin, kidney, nasal passages, liver, and prostate.